Mac Pro, MacBook Pro, iPad Pro...what about an iPhone Pro? Back in May 1998, Apple hyped an upcoming special event three words: Pro. Go. Whoa. After Steve Jobs had finished his keynote, it was clear what they meant: Pro was for the Power Macintosh G3, Go was for new PowerBooks, and Whoa appropriately captured the reaction to Apple’s newest computer, the iMac. It wasn’t just a clever marketing slogan. 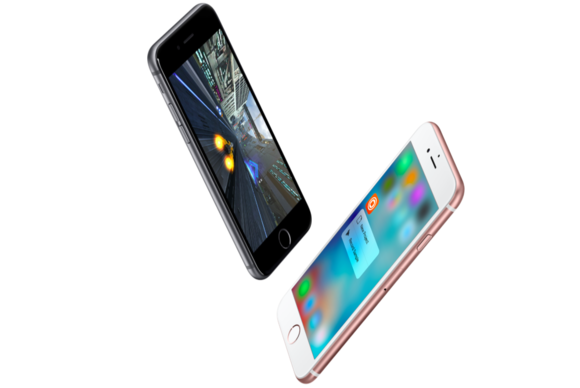 For the first time, Apple made a clear distinction between consumers and professionals. The Power Mac and iMac may have both used G3 processors but they were marketed to different audiences; the beige tower was for users who craved speed and expandability, and the translucent iMac was for everybody else. Nearly 20 years later, all of Apple’s computing lines have a pro delineation, with one notable exception: the iPhone. The Mac Pro, MacBook Pro, and iPad Pro all offer obvious upgrades over their second-tier counterparts, but the iPhone line serves no such distinction. Even when it introduced two sizes with the iPhone 6, Apple opted for the Plus surname instead of Pro, separating the models by size rather than performance. But I think that may be about to change. 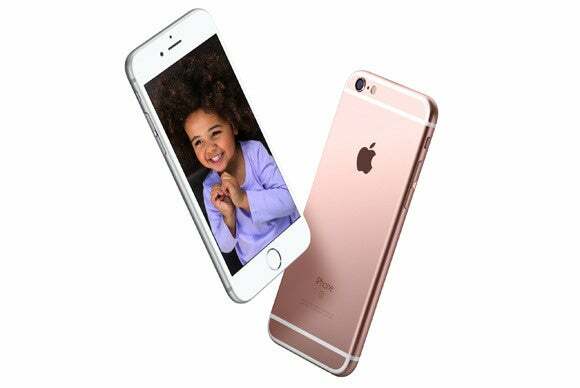 Despite being marketed merely as larger phones, Apple has positioned the iPhone 6 Plus and 6s Plus much in the same way as its other pro products. Where Samsung’s Note actually has a lower ppi density than the Galaxy S6, Apple gave the iPhone 6 Plus a 401ppi 1920x1080 display, making it the first iPhone to have a screen density higher than the 326ppi retina standard. The Plus also got a larger battery, an iPad-like rotating home screen, and a camera with optical image stabilization. But where other phablets are packed with extra RAM, smart stylus support, and other tablet-esque features, the iPhone Plus doesn’t act much like an iPad at all. 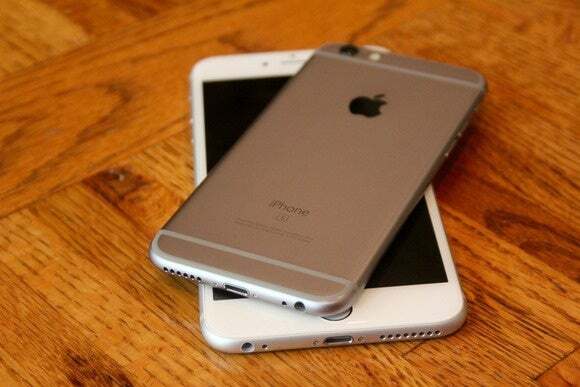 The difference between the standard iPhone 6 boils down to little more than a matter of preference. The battery and camera advantages are nice, but anyone who decided to buy one more than likely did so solely on the basis of the screen size. And that’s where Apple could shake things up with the iPhone 7—if that’s even what it’s called. To say Apple has a lot riding on this year’s iPhone is an understatement. Not only have sales plateaued, but for the first time Apple doesn’t have any real expectations to ride. Every non-S iPhone release has brought a major feature users had to have—3G, retina display, larger screens—but the next iPhone’s flagship feature is less obvious. By this time we usually have a pretty decent picture of what the next iPhone will look like, but the most persistent rumor we’ve heard so far is that Apple is doing away with the headphone jack. That could push the next inevitable major change—the removal of the home button—out at least one more revision. Since the new iPhones are expected to retain the same screen sizes, any major improvements will need to come from the inside. Things like battery life and wireless charging are certainly on the table, but I think the new iPhone might be something of an iPad Air-style reboot rather than the usual redesign. And as we approach the first revision of the Plus, Apple has a chance to separate it further from the smaller model—perhaps even give it a new name. Calling the new phones iPhone Air (4.7 inches) and iPhone Pro (5.5) would accomplish two things: It would position the larger iPhone as more than just a larger iPhone, and it would allow Apple to abandon its naming scheme (or at least reset it) before it starts getting too clunky. Sitting next to the iPad Air, the iPad Pro seems just like the iPhone Plus: a model for people who want a bigger screen. But as with the Mac, it’s not the size that makes it pro, it’s the capabilities, from the Smart Connector to the Pencil support. With its smart speaker system and A9X processor, the iPad Pro is a beast of a tablet, much closer to the performance of a MacBook than the iPad Air. It’s not too much of a stretch to imagine an iPhone Pro that bridges a similar gap between phone and tablet with a smattering of features exclusive to the 5.5-inch model. There have already been rumors of a 256GB Plus model and a dynamic dual-camera system, but Apple could take even further by embracing the productivity and power benefits of its largest iPhone. Aside from a faster processor and extra RAM, the most obvious addition would be a smaller Apple Pencil geared for note-taking and other light tasks. Samsung’s S Pen is one of the main differentiators between the Note and Galaxy S lines, and I could see Apple selling one as an accessory for Notes (which is poised to get even better with iOS 9.3), as well as a navigation aid. But while an iPhone Pro would be the ultimate handheld device, the idea that Apple is going to keep all of this power confined to our pockets seems silly. If the iPhone is going to stay at its current size for a few revisions, I think Apple will find more ways to use it as a hub. Each of Apple’s Pro devices is anchored by a greater level of expansion: Thunderbolt, the iPad Pro’s Smart Connector on the iPad Pro. But it’s hard to imagine Apple adding another port to the iPhone—even a magnetic one. But through Wi-Fi and Bluetooth 4, Apple could let the iPhone operate both independently and as part of a seamless larger system. This past week HP showed off its Mobile Extender, essential a touch-based laptop that comes to life when the Elite x3 phone is within range. It’s an interesting concept for an iPhone Pro—not a hybrid per se, but a way to maximize productivity based on location. When you’re on the go it’s a fully capable phablet, but at a desk it lets you work with a keyboard and a full-sized screen, without having to sync data or hand off tasks between devices. And Apple could soup up iOS as well. It’s already shown how well it can specialize features with iOS 9’s iPad multitasking and the iPhone Plus’s landscape home screen. Drawing a line between an iPhone Air and the iPhone Pro presents interesting possibilities for navigation and productivity, like a a version of the iPad’s Slide Over or keyboard Shortcut Bar, or borrowing the Smart Lock feature from Android. But no matter how it goes about it, I think the sixth major iPhone revision will represent a monumental shift for Apple’s most important product. Maybe even big enough to make us all go “Whoa” again.